Hello everyone! 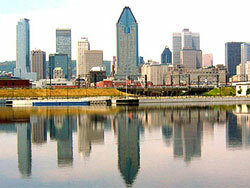 This article will feature 10 fun things to do when visiting Montreal! From cultural and sporty activities, to typical Canadian foods to try, we hope these suggestions take all preferences into account. 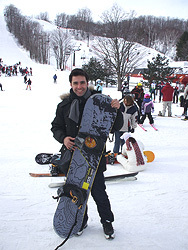 Montreal is an absolutely wonderful city, offering a wide range of varied activities during every season. They say that French is one of the richest and most beautiful languages in the world, but if you ask me one thing it does lack is an appropriate superlative to describe Montreal. “Incroyable” is probably the closest but it still feels insufficient. Wunderbar, on the other hand, best captures my feelings about Montreal. I came to this conclusion near the end of my stay. I had just seen two amazing free shows in Old Montreal; coupled with a trip to ‘Tam Tams’, Montreal’s weekly drum circle and cultural festival. I realized that I had just had an entire days’ worth of entertainment without spending a dime! I walked along the St. Lawrence River in the Old Port satisfied with the fact that there are very few places in the world where you can do that. Certainly, not in Berlin that’s for sure! One word and one word only comes to mind when I think of Montreal: SHOPPING! 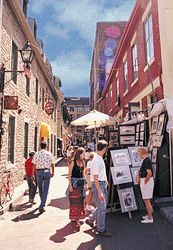 As your average red-blooded American girl, I already had my share of shopping experience under my oh so fashionable belt when I arrived in Montreal, BUT even I was soon exhausted from going from boutique to fabulous boutique in this amazing city! Of course, I’d come here to learn French, and that’s what I did – not only in my classes every morning in the school – but also every afternoon, out exploring the city and its wonderful shops! There simply isn’t enough time in the day to see every store in Canada’s fashion capital and thanks to their expansive underground, you don’t even have to go outside the city centre if you don’t want to. Sure, they have big name chains but what makes Montreal shopping particularly special is the little shops you can’t find anywhere else. What’s best about these tiny boutiques is that you know no one back home is going to be wearing what you’re wearing. Why Montreal is my dream city! I have never in my life been to a place that screamed at me “Come to live here”… until I went to Montreal! It is AWESOME! Even though I had never been to Montreal before, I wasn’t expecting to find it much different to the cities I know in the US. Boy was I wrong! After 5 minutes of being there and despite the fact that Montreal is bilingual, you are still in no doubt that the city is utterly French… yet it’s still quite different to any French city. It’s completely unique! Honestly, I’m sure there cannot be another place in the world where you can sit in a ‘resto-bar’ with a name like ‘Le Vieux Dublin’, enjoy a European beer while watching Les Canadiens play ice hockey against the Boston Bruins with commentary in French, then pop to the brasserie next door for a dinner of Quebec cheeses, foie-gras, and veal burgers!